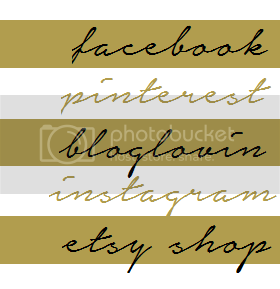 A week ago I did a guest post (my first guest post!) over at The Ivy Cottage Blog and now I get to share my tutorial with you all here! I wanted a tiered vase. I struggled with how to put this together because I didn't want it to be top heavy. After several attempts to come up with the perfect way to arrange this, my genius sister said why don't you use three different sized jars? Not sure why I didn't think of this, but it worked perfectly. It gives the tiered effect without having to worry about anything being top heavy. Side note, has anyone ever read all of those scary warnings on the back of the E6000 glue? I was officially freaked out. Basically, be sure not to breath in the fumes, work in a well-ventilated area, and don't get it on you. 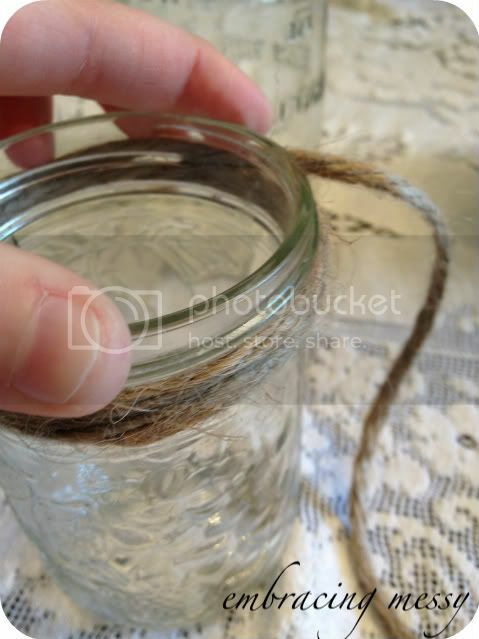 Anyway, I thought that the jars needed a little something, so I decided to wrap some jute around the jars. 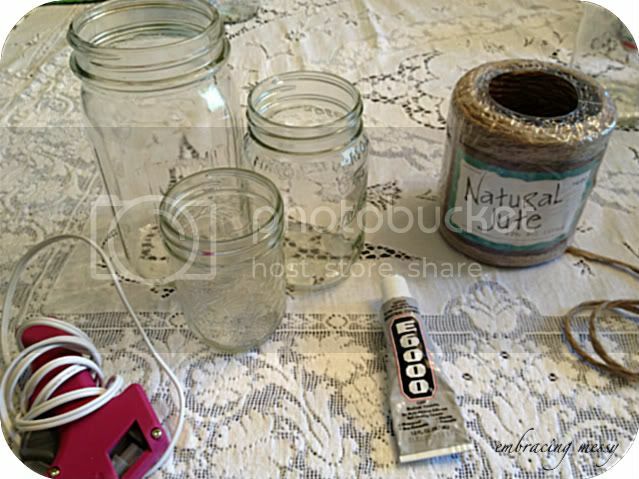 Using my glue gun, I wrapped each jar twice and secured it with a dab of glue. 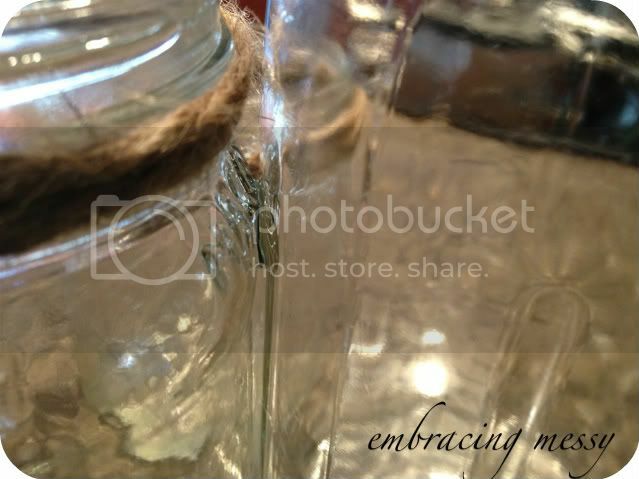 ﻿Really, you can add whatever you'd like to the jars to make them your own. Ribbon, beads, etc. 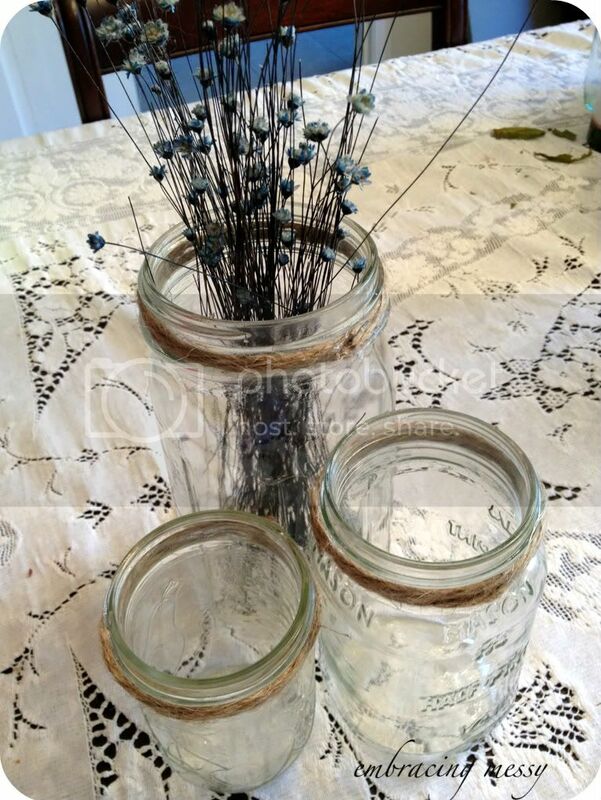 Once you'd added all of your embellishments, it's time to glue the jars together. 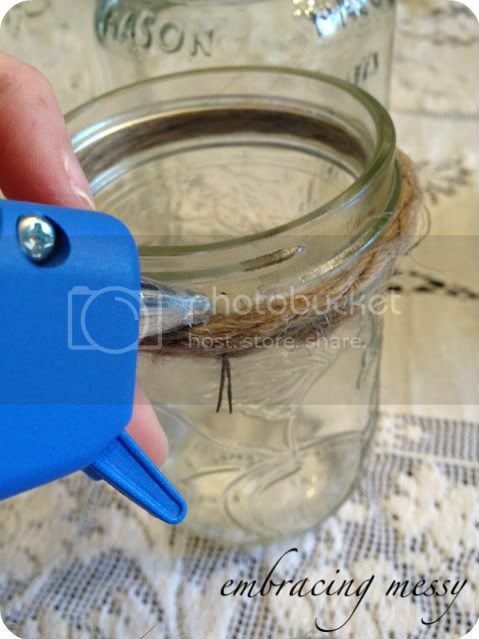 In order to do this, I wanted to make sure that my jars were on a flat surface, so I went to the kitchen on the granite countertops so that I knew the surfact was completely flat. 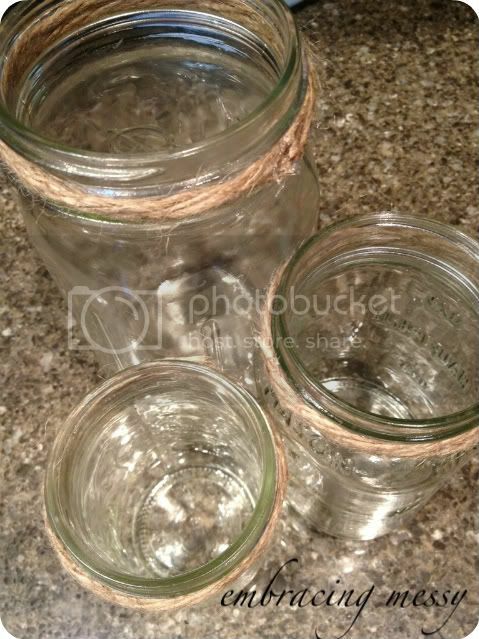 This way the jars won't wobble if I sit them on the counter or on a kitchen table. All I did was put a small dab of E600 on the jars and pushed them together. I let this sit overnight just to be safe.